Russia is leaning toward the construction of a line by Gazprom from its South Stream pipeline to deliver gas to the Crimean Peninsula, which could take two years to build, Minister of Crimean Affairs Oleg Saveliev told RIA Novosti on Monday. MOSCOW, June 16 (RIA Novosti) — Russia is leaning toward the construction of a line by Gazprom from its South Stream pipeline to deliver gas to the Crimean Peninsula, which could take two years to build, Minister of Crimean Affairs Oleg Saveliev told RIA Novosti on Monday. Earlier two variants of supplying Crimea with gas were under discussion. One includes the construction of a pipeline through Kuban with the capacity of 2 billion cubic meters that should be constructed by January 2016. The second would run from Anapa on the shores of the Black Sea. "According to information supplied by the Energy Ministry [last week], pipes are to be laid. This is possible over the next two years, but it’s completely obvious that this won’t happen in 2014 because that year is for projecting, but the pipeline will be from South Stream," Saveliev said. The South Stream pipeline aims to supply Russian gas to Southern and Central Europe, bypassing Ukraine. Crimea separated from Ukraine and rejoined Russia after a referendum in March, which followed a series of protests against the Kiev authorities that came to power after the ouster of Viktor Yanukovych, former president, in February. The mainly Russian-speaking Black Sea peninsula, which hosts a Russian fleet base, has already switched to Russian currency and legislature, and now onto Russian energy. 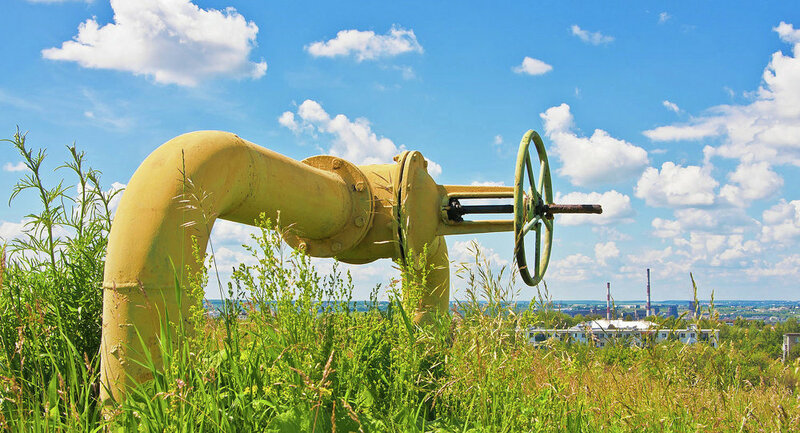 In mid-May, Ukraine’s Energy Ministry said that there was 2 billion cubic meters of gas left in Chernomorneftegaz underground storages in Crimea that belong to Naftogaz and asked Gazprom for a compensation for it. Russian Gazprom spokesman Sergei Kupriyanov said the company had nothing to do with gas in Crimean underground storage facilities. Earlier in the day, after several delays, Gazprom implemented a prepayment plan for the delivery of Russian fuel to Ukraine due to Naftogaz' $4.458 billion debt. The first deliveries via South Stream are not expected until 2016, and the pipeline is planned to enter full operation mode in 2018. Its fate has been disputed in Europe, which encouraged Bulgaria to suspend the construction on its territory as part of sanctions against Russia due to escalating crisis in Ukraine. Europe relies on Russia for one third of its oil and gas. Kupriyanov said earlier in the day European consumers would receive Russian gas deliveries in their full volume.